If you’re looking for a awesome healthy dinner, I must say Cooking Light‘s Brown Rice bowl (paired with five different toppings of your choice) is perfect. Once the rice is done, combine the flavors and there you have it. 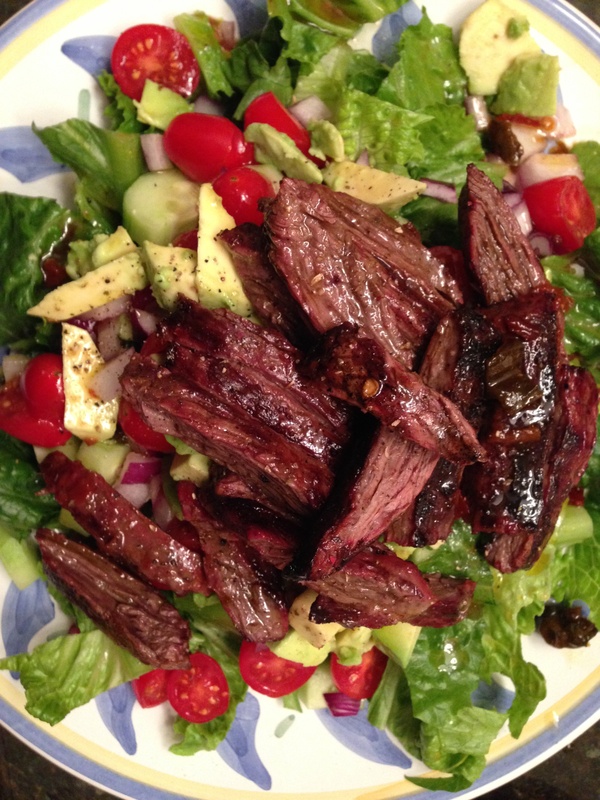 An insanely quick, healthy, and delicious meal. If beets aren’t your thing, opt for the ‘Steak and Greens’ or the ‘Balsamic Cranberry Pork.’ You can even make up your own rice bowl and add the toppings of your choice. I’d love to hear other creative topping ideas! But until next time, keep eating! My friend and I recently tried Spitzer’s on Rivington Street. And let me tell you, I’m glad we did. It’s this cozy restaurant and bar that has this amazing truffle mac n’ cheese. Yep take a second to soak that in. Truffle mac–need I say more? We decided to split the truffle mac n’ cheese and their homemade spinach and artichoke dip that came with warm, fresh pita bread. Good choice made. When the food came out we dug right into it. 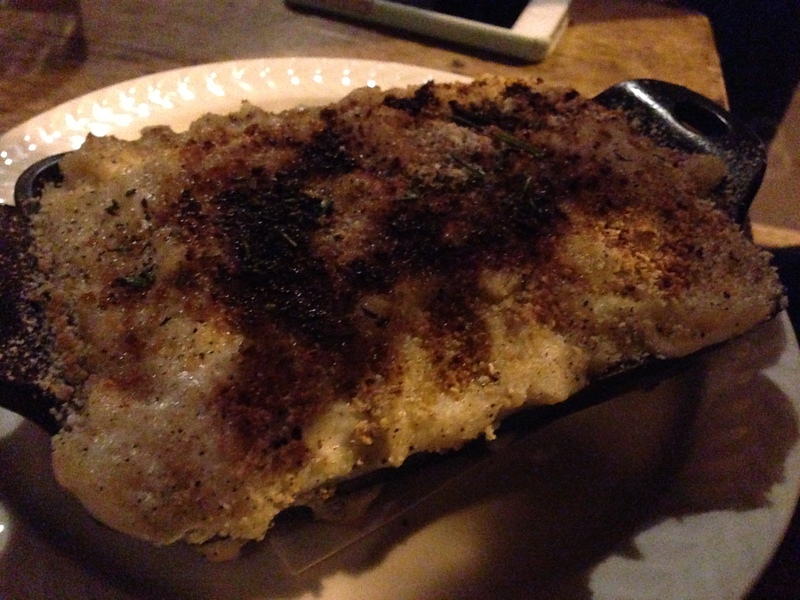 The truffle mac had a baked breadcrumb crust atop of it which was the perfect amount of crisp to the rich and gooey mac n’ cheese. We both couldn’t put our forks down. 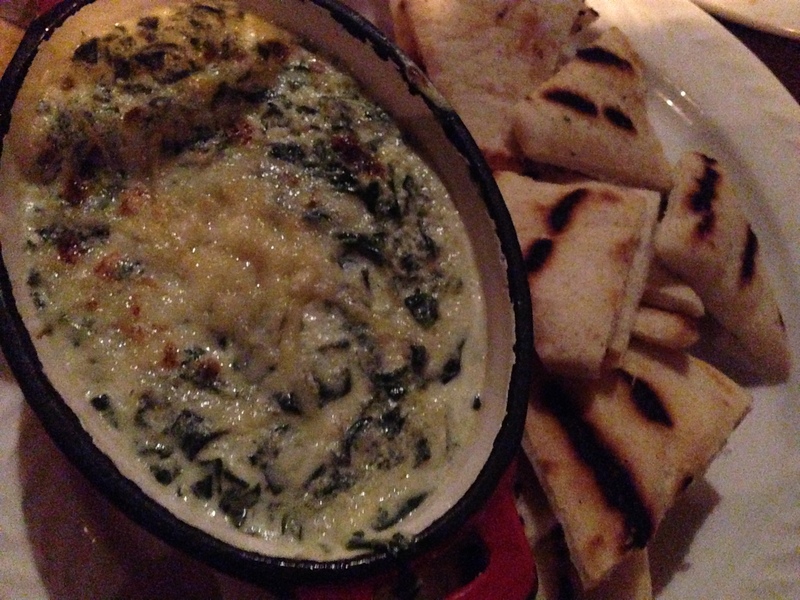 Same goes for the spinach artichoke dip–we had to order additional pita bread to finish it. Utterly delicious. I highly recommend Spitzer’s for both their drinks and food (or even just for their truffle mac). But until next time, keep eating! Found: the perfect side for any stir fry. 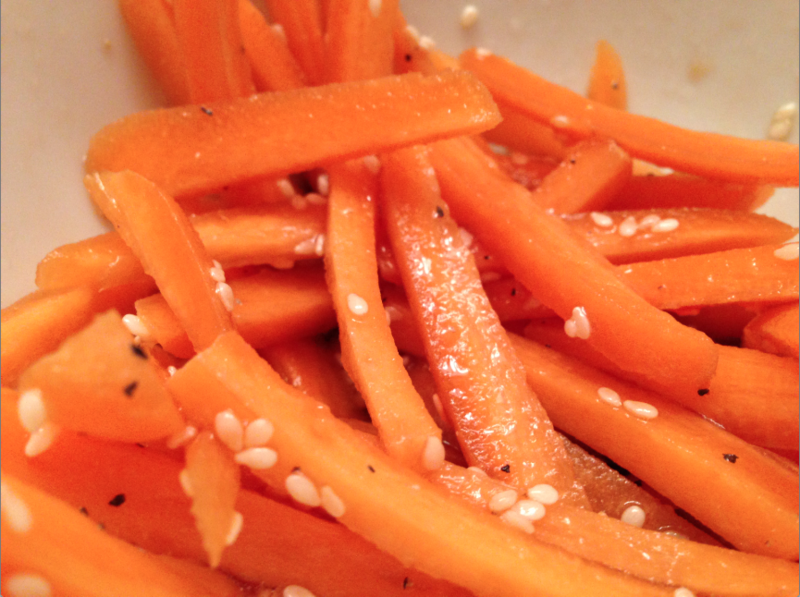 Sesame-carrot salad from Cooking Light. I must say I do cook my fair share of stir frys–it’s great excuse to use up every vegetable you have laying around (within reason of course). 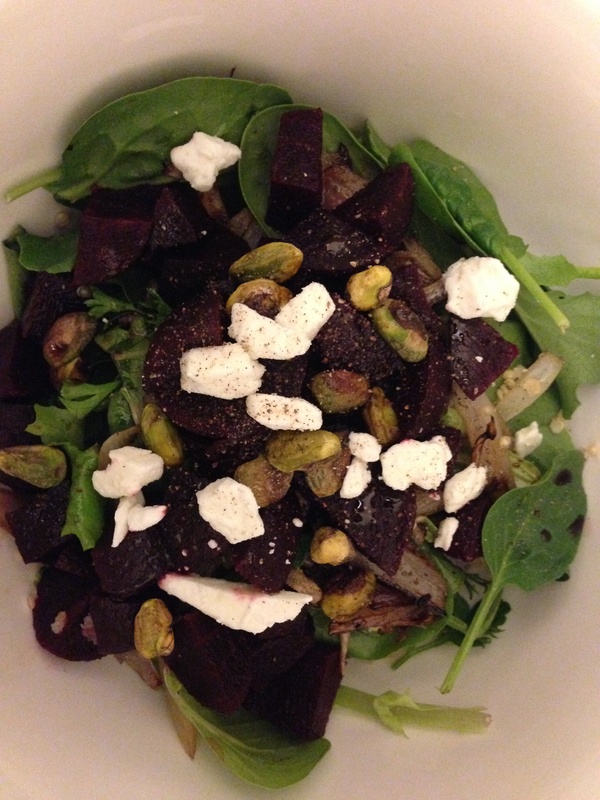 The other night, as I was cooking vegetables for my stir fry, I realized I wanted something more. Something new and different that I haven’t made before, while at the same time complimenting my all-time favorite stir fry accessory: Trader Joe’s Soyaki sauce. It’s just a little bit of heaven in a bottle. And this sesame-carrot salad was it. Combine 3 c. matchstick-cut carrots, 1 1/2 tbsp. toasted sesame seeds, 1 1/2 tbsp. rice vinegar, 1 tbsp. dark sesame oil, 1 tsp. lower-sodium soy sauce’ and 1 tsp. ground pepper. Simply throw all these ingredients in a bowl and toss well to coat. Easy as pie and it provides a nice crunch alongside the stir fry. If you love a good stir fry as much as I do, try this out! But until next time, keep eating! Don’t Be Shellfish, There is Enough For Everyone! You can never go wrong with a classic shrimp scampi. 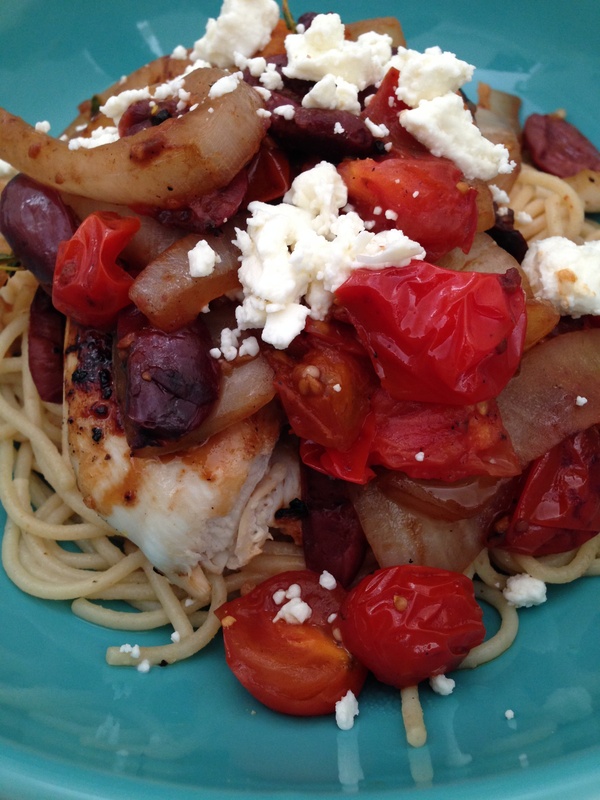 And after a long work week, I wanted nothing more than a fast, quick and delicious meal. I DO try to cook as many meals as I can, but after work, I rush home to put on my sweatpants and order Seamless (delivery is the best thing ever invented). This night I refused to do that. 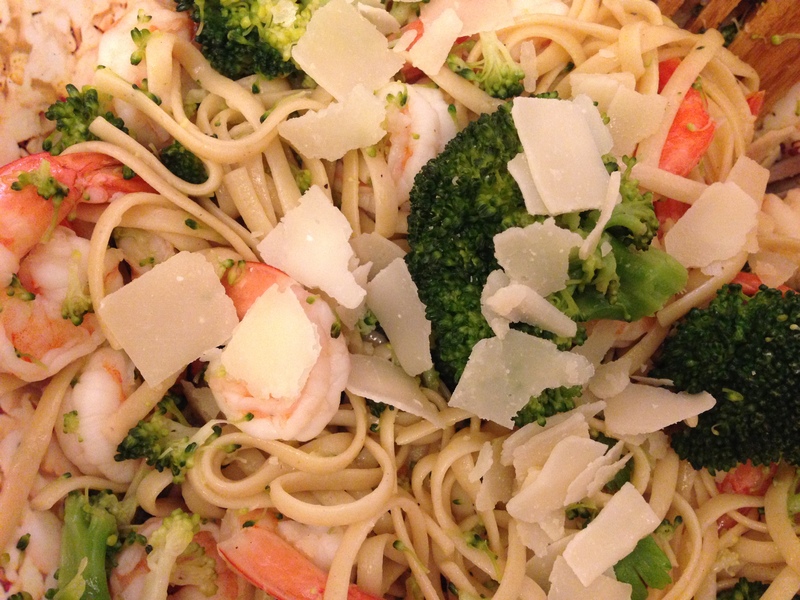 On the menu, Shrimp and Broccoli Scampi from Cooking Light. What you’ll need to do: Cook the pasta according to package and add the broccoli for the last 2 minutes. Drain. Then, heat a large skillet over high heat. Coat the pan with cooking spray, add shrimp and cook for 2 minutes. Remove from pan. Next, heat the pan over medium-low heat, add butter and oil. Add garlic and saute for about 1 minute. add stock, bring to a boil, and make sure to scrape the pan to loosen the browned bits. Combine 1 tbsp. water and cornstarch in a small bowl. Stir the cornstarch mixture into the stock and cook for about a minute. Then, stir in shrimp, pasta mixture, parsley, rind, juice, and salt. cook for a minute and stir to cook. Sprinkle with Parmesan and serve. There you have it. 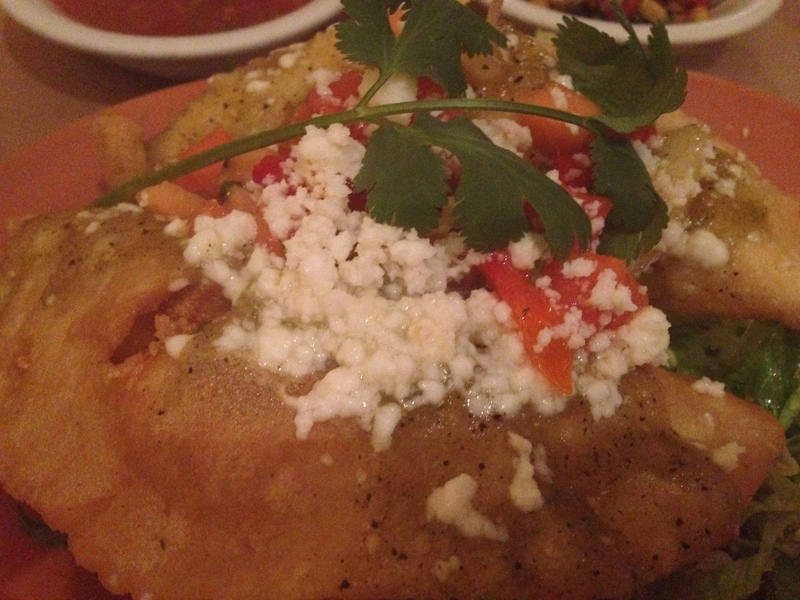 An incredibly delicious meal for less than 20 minutes. Does it get much better than that? The best thing about this recipe is that it makes a ton, so you’ll have leftovers to take for lunch! If that’s not an incentive than I don’t know what is. 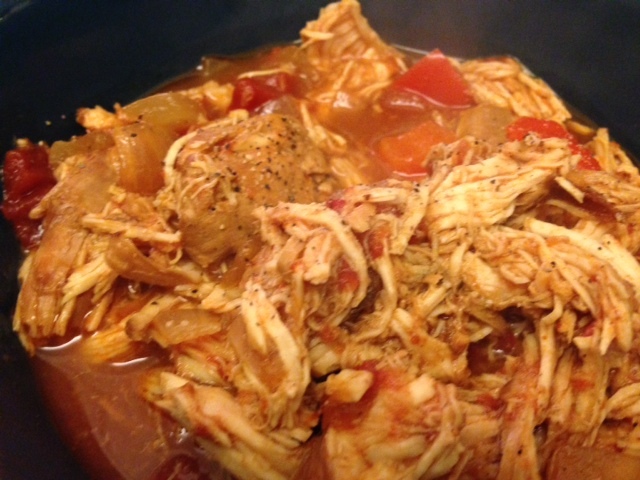 Test this recipe out and let me know what you think! But until next time, keep eating! It’s no secret, I adore chickpeas. 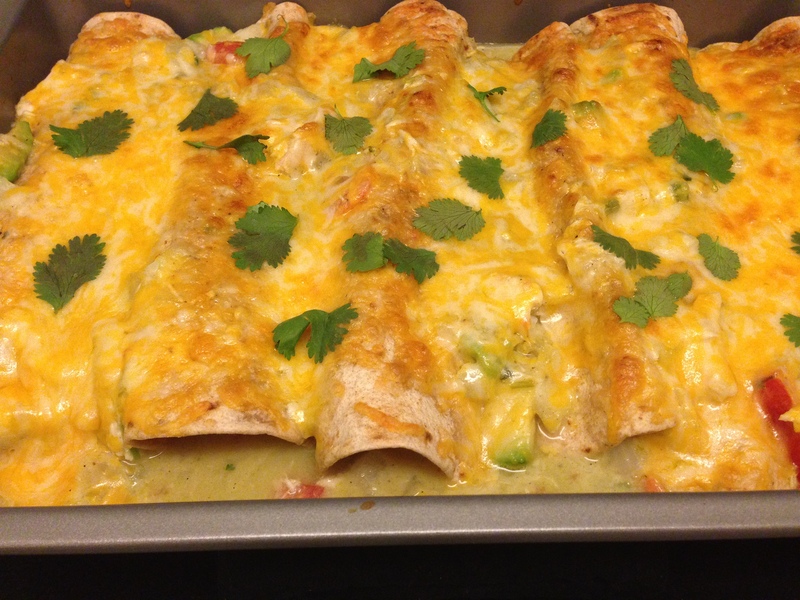 And naturally when I came across this recipe, I had to make it. Chickpea Curry from Cooking Light. If you’re opting for rice, cook the rice according to the package. Meanwhile, heat a Dutch oven over medium-high heat, add oil. Then add the onion and saute until tender (about 5 min.). Next stir in the garam marsala and cook for 30 seconds, stirring constantly. Then add the chickpeas, tomatoes, and spinach and cook until the spinach wilts. Once the spinach is wilted, remove from heat and stir in yogurt and salt. Serve over rice (or with Naan bread) and sprinkle with cilantro. There you have it, a super easy great meal. The combination of the spices, the creaminess of the yogurt, the acidity of the tomato sauce are what make this dish so divine. 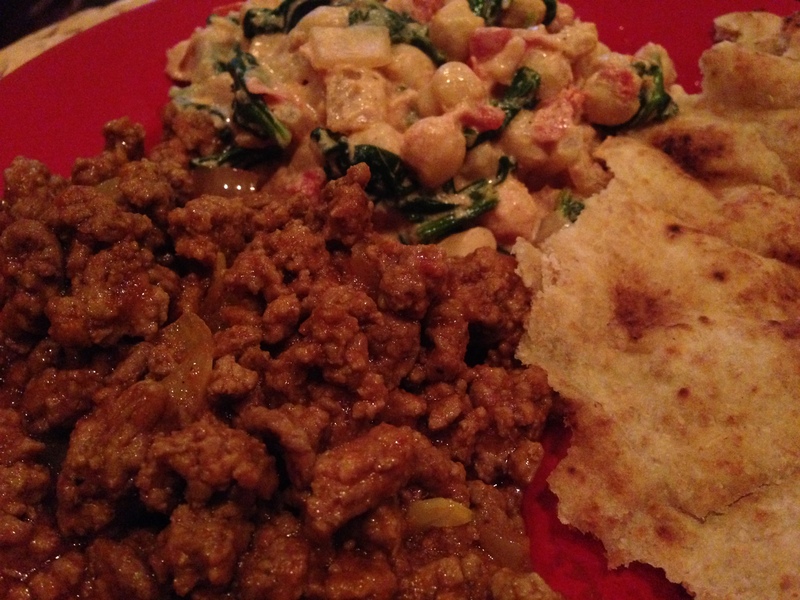 I served this dish alongside homemade lamb curry and Naan bread. You need something starchy like bread or rice to soak up the sauce (trust me you’ll want every last drop) and the lamb curry was a delicious hit of protein–you’ll just want to pick something that compliments all the flavors in the chickpea curry. Let me know what you think! But until next time, keep eating!